While the universal messages of the Bible echoes around the world, the text, in all its hundreds of translations, always speaks in a particular idiom – that of Israel’s nature and agriculture. What a small country this land of Israel is – a tiny dot on the world map. Yet how many worlds are encompassed within it’s borders! 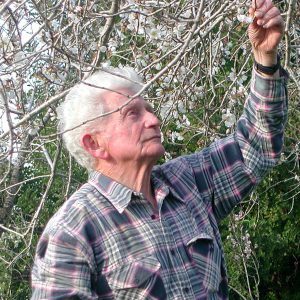 Nogah Hareuveni, z”l, was born in Jerusalem in 1924 to Ephraim and Hannah Hareuveni, founders of the Museum of Biblical and Talmudic Botany. He worked beside his parents from childhood. 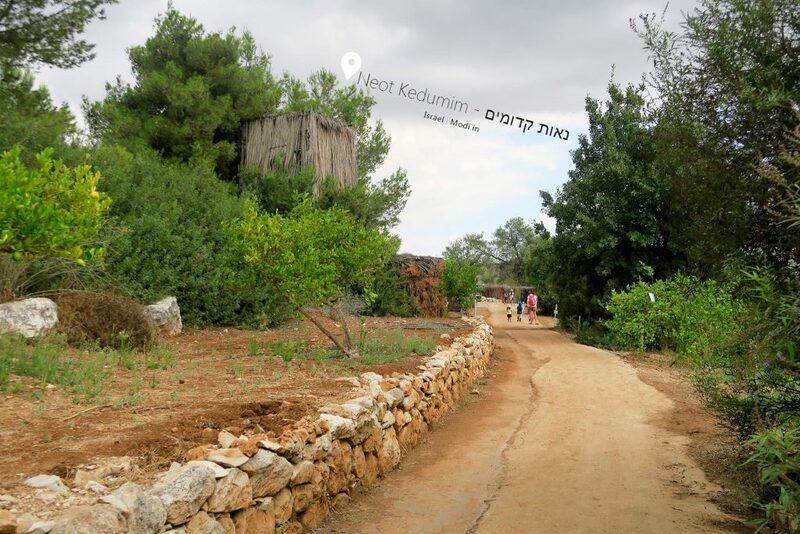 He is the founder of Neot Kedumim* – a Biblical garden and nature reserve located halfway between Jerusalem and Tel Aviv. Literally with the Bible in one hand and a spade in the other, Neot Kedumim has established a network of natural and agricultural landscapes bearing names that indicate their textual source – the Forest of Milk and Honey, Dale of the Song of Songs, Isaiah’s Vineyard, the Fields of the Seven Species are only some of the areas which we have created which embody the panorama and power of the landscapes reflected in the Bible. Neot Kedumim draws on a variety of disciplines — Bible scholarship, botany, zoology, geography, history, and archaeology — to bring the Bible and its commentaries to life. …By reuniting text and context, Neot Kedumim opens up before the visitor Israel’s nature as the idiom of the Bible. The symbols, prayers, and holidays of the Jewish and Christian heritage, observed and preserved for thousands of years, blossom in a new and colorful dimension at Neot Kedumim, the world’s only biblical landscape reserve. Nogah Hareuveni tells us that the foundations for these books were laid in his childhood. My parents, the late Dr. Ephraim and Hannah Hareuveni, periodically took their children out of school to join them in the valleys and mountains, fields and deserts of Israel. In all kinds of weather, slogging through mosquito-infested swamps, visiting Bedouin tents and remote villages, my young eyes saw how these early research pioneers worked. I participate in their field trips and witnessed how they slowly pieced together the collected recorded bits of folklore and traditions linked to the plants of the land of Israel. Originally written in Hebrew, how thankful I am for the work of Helen Frankly who translated these three works into English, making them available for those of us who are still learning Hebrew. 1. Nature in Our Biblical Heritage shows the organic connection of the Bible and the physical land of Israel. It explores “the land of Milk and Honey,” water problems in the land, the “seven species, the Hebrew calendar and the three pilgrimage festivals: Pesach, Shavuot, and Sukkot. 2. Tree and Shrub in Our Biblical Heritage explores thirty different trees and shrubs. Many of these will be familiar to those who are students of the Word but Nogah Hareuveni does something wonderful. He takes them out of their “G-d forbid” commonplace – given that at times we only give them a glance as we read the text – and raises them up in our understanding and imagination as a metaphor, parable, or symbol. 3. Desert and Shepherd in Our Biblical Heritage continues the theme of Nogah Hareuveni’s first two books – the absolute necessity to understand Israel’s nature and landscape to fully understand the wellspring of the Bible. This fascinating book places an emphasis on Psalm 23 and parts of the prophets Jeremiah and Isaiah. This set of books help us to see the vista of the land of Israel in the Bible and Talmud as understood by Rabbinic tradition. They help us more fully understand how the Land of Israel and the Biblical heritage are indivisible. The author shares from Biblical text, discussions and argument of the Sages, and tales of midrashim. As one who has always had a deep curiosity and love for nature, these books are by far one of my favorite and most used resources – never more than an arm’s length away from my desk. As one to whom The Land beckons, these books give me an intimacy with The Land and Scripture from my home in Texas. In addition, the beautiful photographs make these treasures worth purchasing! The three books are available used via amazon.com and directly from Neot Kedumim, whose website is listed in the notes below.